The mobile explosion is changing the recruiting game. In 2010, only 10 percent of job seekers used their mobile phone to search and apply for jobs. By 2014, that figure had risen to 50 percent. With the seismic shift towards mobile-savvy job-seekers, recruiters face a stark choice. They must either strategize for radical change or compromise their ability to compete for talent. Appcast.io analyzed over 250,000 applications and took a data-driven look at the impact mobile has on recruiting costs and outcomes. The results were startling. For every 100 candidates who click through from a job advertisement to a recruitment portal on a desktop device, an average of eight will complete a job application. For mobile click-throughs, the completion figure is just 1.5 percent. 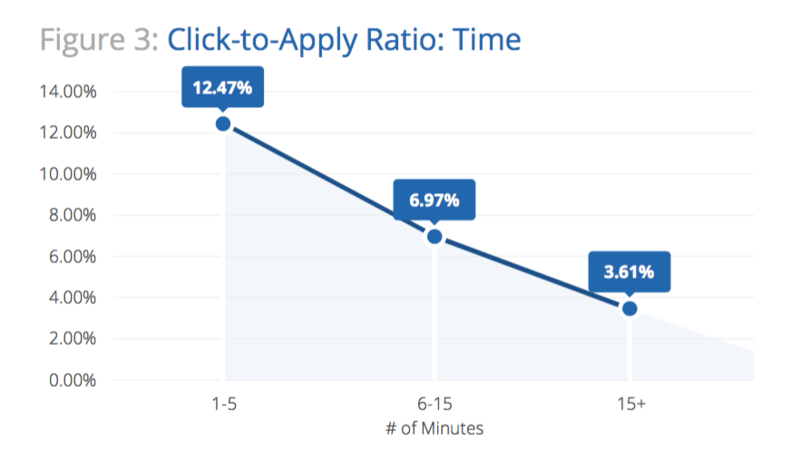 Click-to-apply ratio measures the percentage of job seekers who click to view a job posting who actually go on to complete a job application. If 100 job seekers view a posting and 10 of those job seekers go on to apply, the click-to-apply ratio is 10 percent. Appcast’s data, gained from a longitudinal study of every major applicant tracking system in 15 different industries, shows that mobile traffic converts at a significantly lower rate than desktop traffic. Ill-considered apply processes, which becomes exaggerated when performed on a small screen. In fact, our data shows that lengthy, complex, and time-consuming applications are the primary barrier to mobile applicants. 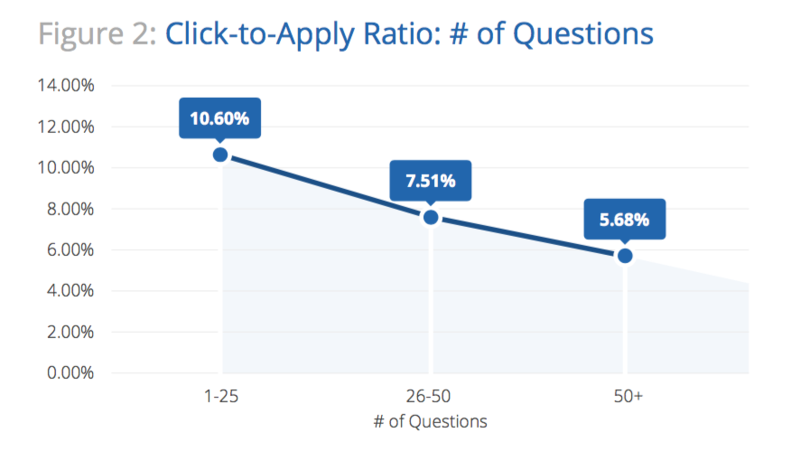 On average, 10.6 percent of click-through candidates complete a job application that asks fewer than 25 questions. That figure drops by half (5.68 percent) when the application asks 50 questions or more. But the most significant metric is the time it takes candidates to fill out an application. Application rates drop by a staggering 365 percent if an application takes more than 15 minutes to complete. In a nutshell: cost. Under the popular cost-per-click pricing model, recruiters pay each time a job-seeker clicks through to the employer’s recruitment portal, regardless of what the job seeker does next. If the applicant abandons his application, the return on investment is zero. In some sectors the mobile disconnect is especially costly. Technology, for example, sees 19 percent of its desktop candidates completing a job application, compared to just 1 percent of mobile candidates. Assuming a cost-per-click of $0.40, sourcing costs are $2.10 per desktop applicant ($0.40 cost per click/19 percent click to apply) compared to $40 ($0.40 cost per click/1 percent click to apply) for mobile candidates — an increase of 1,805 percent. Overall, organizations can carve 250 percent from their sourcing costs simply by reducing the time it takes to complete an application from 15 minutes to 5 minutes. The business case for improving mobile recruitment is compelling. 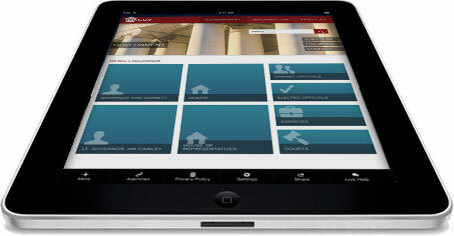 Data hints at a growing wave of mobile candidates who want quick, easy application processes. They are not finding them. The fact is, the small screen exacerbates problems inherent in the apply process. Drawn-out apply processes seriously deter mobile candidates, many of whom will abandon an application before they submit it. Bluntly put, every question you eliminate from the application reduces applicant sourcing costs. In a low supply/high demand recruitment environment where the talent pool is mobile-centric, recruiters can double applications and slash recruitment costs by streamlining mobile apply processes across the board.